Government and local authorities funding development. Knock Airport recorded a relatively small increase in passenger numbers in 2016. 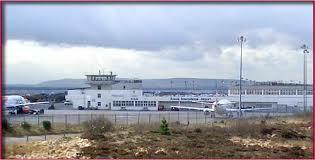 The airport is supported by local authorities, including debt-ridden Sligo County Council. It has also received allocations of €1.3m and €900,000 from the Department of Transport in the last year. According to reports, passenger numbers have increased by around 7%. Concern is meanwhile growing over the North West’s faltering economy. There has been little new industrial or service sector investment of major significance during the last twelve months. The commercial rate, reduced on urban-based premises was bumped up on rural businesses in 2016, despite many struggling to survive. Some have closed. At the same time, Council-run Local Enterprise Offices are offering grants and loans for new business start-ups. Young people disillusioned over the lack of development and job creation are leaving the region in droves. TDs representing the Sligo-Leitrim constituency are Martin Kenny, Sinn Fein, Tony McLoughlin, Fine Gael and Eamon Scanlon and Marc MacSharry, both Fianna Fail. It seems the Fianna Fail-backed Fine Gael-led government doesn’t feel under any substantial political pressure to deliver for the North West. This is also apparent regarding the alleviation of the trolley crisis at the Sligo University Hospital. While extra beds are being rolled out in nearly a dozen hospitals across the country, that Sligo, it’s reported, has been omitted from the plan.